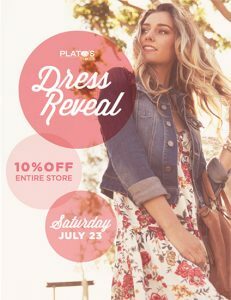 Stop by Plato’s Closet this Saturday (July 23rd) for the DRESS REVEAL event. The store will be rolling out their best dresses. Plus, receive 10% off the entire store!